Property is often talked about as an interesting asset class to invest in, especially given how much house prices have risen in the past ten years or so. But for the vast majority of us, it's a big enough struggle to buy a home to live in. Talk of purchasing a property to let out, as investment, might seem like pie in the sky. It's worth saying that, despite the headlines, the UK property market is not a one-way street. Many analysts feel that it is due a big drop. Because homes have become so unaffordable for so many, the amount of debt needed to own a home (versus the size of your deposit has increased. As interest rates rise, this debt becomes harder to "service" or pay for. Certainly, compared to a few years ago, house prices have slowed significantly - especially in the south east of England. Likewise the attractiveness of buy-to-let has been severely damaged by a number of tax changes in recent years. So it's by no means certain that, even if you had enough money to put a deposit down on a second property, getting into buy-to-let would be a wise way of using that money. Particularly if it involved a large mortgage, for the reasons stated above. All that said, some investors want to include residential property in their portfolio as part of its diversification without the massive expense and risk of buying a second property. A fund is lots of people's money grouped together in one pot. 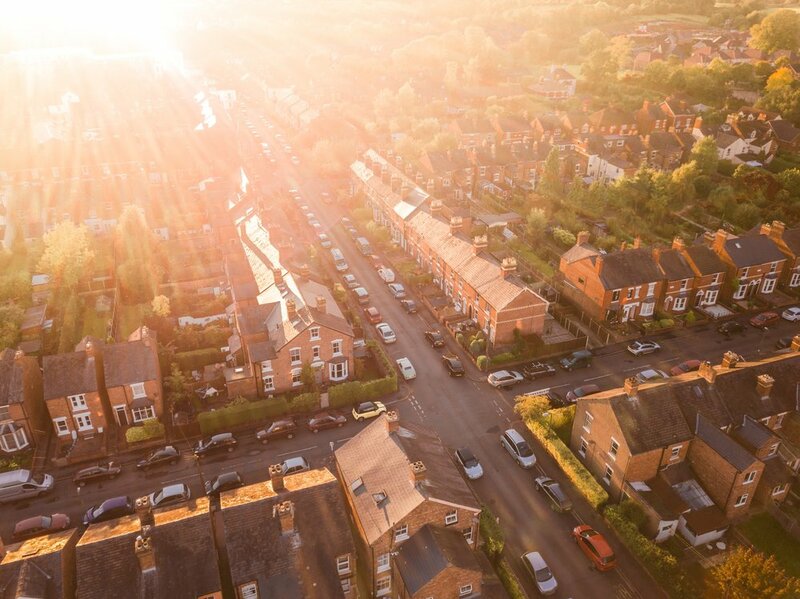 A fund could allow you access to property markets with the added benefit of diversification. The fund manager - the financial professional investing the pot of money - makes investments in a variety of properties on your behalf, at their discretion. Usually these types of funds invest either directly or indirectly in commercial property rather than residential property. This means the fund owns buildings such as office blocks, shopping centres or other retail outlets which are rented out to businesses. Residential and commercial property do not act in exactly the same way. If you invest in the fund, you don't actually own the bricks and mortar. You're merely hoping the companies and property the fund invests in make money from rent (rental yields). you could also make money if the buildings become worth more (capital appreciation). You could also buy shares in housebuilders or property companies, or in something called real estate investment trusts (REITs). REITs are effectively property funds listed on the stock exchange, with some small differences introduced by the way they are structured. There is also a new breed of start-ups that allow you to invest, which are more directly linked to residential property movements. There are a number of companies offering "property Isas". The are, in fact, just standard stocks and shares Isas invested in funds of buy-to-let properties. The return is still based on rental income and capital appreciation. However, you really must do your homework before handing over even a small amount of your savings, and understand how the investment works. Figure out exactly where the returns are coming from and how stable the underling assets are. Most of these investments cannot be held in a normal investing Isa, and most of them will not be protected by the Financial Service Compensation Scheme in the event that the companies fail. As always, the higher the return on offer, the higher the risk involved - so be wary of very high promised "interest rates". You might not be able to withdraw your cash when you want to. Owning a home feels like a great investment because you live in it, and do not pay rent to anyone else. If you are lucky enough to have achieved this, you may think that's enough exposure to the property market.